*Thanks to Jenny of Supernatural Snark and Jennifer Estep! Now I have to read the whole series. *Great deal on Amazon! $3.99 for the Kindle version. I've already read this, but I'm excited to now own it. *I'm about 200 pages into this book. To my surprise, I can't put it down. I really want to start the John Green book, but I am totally engrossed by Steve Jobs. Great grabs this week!! I really need to read Where Things Come Back! I hope you enjoy it and plan on reviewing it! $3.99 on kindle is a good deal! I've been meaning to read The Scorpio Races! The Fault In Our Stars sounds good but too sad. I avoid all sad books! lol Happy reading! I've been thinking about reading Steve Jobs by Walter Isaacson. I'm thrilled to hear that you love it! It's going up on the to-read list in my library bag! I really enjoyed Scorpio Races too! I have The Fault in Our Stars sitting on my bookshelf, somehow I know reading it will end in tears. Great haul! I´ve read The Scorpio Races and really like it. Awesome Haul! I loved the Fault in Our Stars and can't wait to read The Scorpio Races. Enjoy them all! You haven't read TFiOS yet? I'm looking forward to your review then. :) And I've heard Scorpio Races are great, I should really read it. Happy reading, I hope your Sunday is fab so far. I've only read the first one of this Jennifer estep series but I have book 2 and 3 in my tBR pile, I really need to get into them. Enjoy all your new books! OOoh nice! Haven't read any of these but I hope you enjoy em all! Great books this week!! I'm glad your liking the Steve Jobs biography!! I have heard nothing but amazing things about The Fault in Our Stars. Hope you enjoy all these new books! What a different mix of books. Enjoy! Score on The Scorpio Races! I hope that you enjoy your new books! Great books! I'm dying to read Scorpio Races and the Fault in Our Stars! Oehh, Scorpio Races & The fault in our stars! Have fun! You always have the most diverse stash of books. I hope you enjoy your new books. Come visit me as well. The Fault in Our Stars is beautiful, but have kleenex. I need to give Jennifer Estep a read. Ohhhh I can't wait to see what you think of Scorpio Races! She's going to be at my local indie (which I think is somewhat local to you too!!) but too bad I can't go LOL! Enjoy!! I can't wait for you to read The Fault in Ours Stars, it's one of my favorites so I hope you love it! 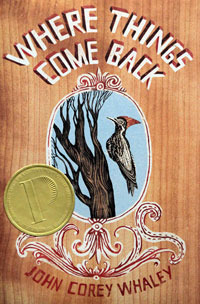 Where Things Come Back looks really good too, Happy Reading! Ooh, Scorpio Races and Where Things Come Back! I keep wanting to grab those from my library but they're always checked out. Great haul. I have Scorpio Races and still need to read it, and I have heard a lot of good things about The Fault In Our Stars so I need to pick this one up. Great haul! I've been interested in the Scorpio Races, can't wait for your review! Thanks for stopping by Wickedly Bookish! Great books! I haven't read any John Green books but I keep wanting to. Nice book week for ya! I really need to read The Scorpio Races, I've been wanting to forever! Nice variety in your selection this week. I haven't read The Scorpio Races yet even though it is on my TBR stack. Have a great reading week! 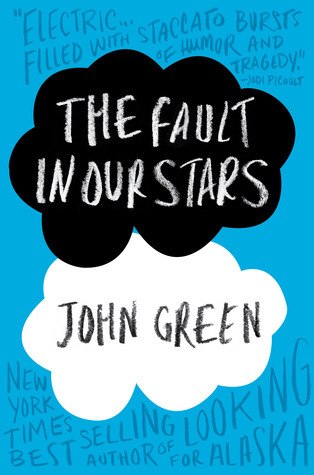 I've heard some great things about Th Fault in Our Stars, but haven't managed to read it yet. Looks like you've got a great selection. TFiOS is SO amazing. Hopefully you'll get to it soon! Yay!!! I hope you LOVE Scorpio Races, I personally thought it was just wonderful. Of course, I've heard fantastic things about Where Things Come Back and TFiOS as well, but haven't had the chance to read them yet. I will soon! Ohh I hope you like The Fault in Our Stars! I've heard The Scorpio Races is really good, I'll read it soon myself! Scorpio Races is an awesome book, hope you enjoy them all! Great haul! I can't wait to start The Fault in Our Stars...you'll have to let me know what you think! i have scorpio races, i hope you like it. I'm so surprised that the Steve Jobs book is so engrossing. It always seemed like it would be boring to me, but all reviews seem to suggest otherwise. Great books this week! Great mailbox! I've wanted to read the Steve Jobs book for months, as I'm intrigued by everything he managed to achieve! Great haul! I really wanna read The Fault in our Stars! Great books this week. The Scorpio Races sounds really good. Happy Reading! Enjoy By a Thread! It's a great edition to the series. Nice books. By A Thread looks interesting. Happy reading! Where Things Come Back has won a few awards but I haven't seen many reviews for it, I'm excited to see what you think! And that is a crazy good deal on The Scorpio Races, I wish they had that deal for the nook! I hope you like TFiOS! It was the first John Green book that I liked when I tried to read it and I adored it! Glad to see you took advantage of the sale to snag The Scorpio Races! I've heard a lot of good things about The Fault in Our Stars, I may need to see if my library has it. I've been considering the Jobs book too, that would be another library find I think. Wow, great haul! I love Elemental Assassin, it's one of my favorite series ;D Hope you enjoy it! I hope you enjoy The Fault in Our Stars. I loved it SO SO much! Keep some tissues on hand, LOL. Hope you are having a great Sunday and thanks for stopping by my IMM! Different set of books! I hope you enjoy them all! We both got the Scorpio Races hehe. I can't wait to read my copy! I also really want to read the fault in our stars!! Great mailbox! The Fault In Our Stars is easily one of my favorite books of all time! I hope you enjoy all of your books! You know I've really been wondering about the Steve Jobs book...can't wait to hear/read your thoughts! Can't wait to read Pandemonium! Hope you enjoy it! And I've heard great things about Feed! The Fault in Our Stars is on my wish list. I haven't read any John Green books before, and I need to change that soon. I have The Scorpio Races too and really want to read it. I need to find the time. I wants The Fault In Our Stars too. Looks good to me. Thanks for stopping by! I have The Fault In Our Stars and I can't wait to read it. I hope you enjoy everything you got this week. Thanks for checking out my IMM! Yay for The Fault in Our Stars!! I got Where Things Come Back a couple of weeks ago but haven't started it yet. AND (I'm so excited!) I just put The Scorpio Races on hold at my library:) Great books for you Alison, hope you enjoy them! I want to read all of these! Estep's series is one I need to start too. 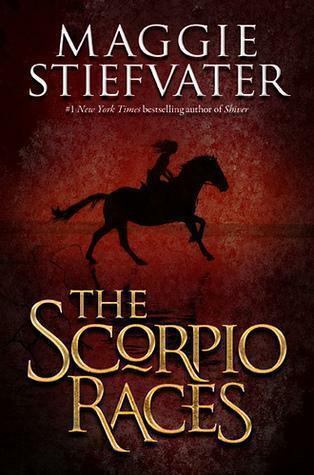 The Scorpio Race looks like a great read -- and such a nice cover! The Fault in Our Stars is definitely high on my To-Read list ... great IMM! I need to read The Fault in Our Stars. Great books this week! Nice haul! I saw that sale on The Scorpio Races on Amazon and I really want it but I'm so strapped for cash right now! Plus, I think I'll probably want the hard copy. ;) And I LOVED TFiOS! John Green is such an amazing author. And thanks so much for stopping by my IMM! Happy reading! Nice IMM this week. I haven't read The Scorpio Races, I so want to tho. I hope you enjoy them all! Oooh, The Scorpio Races! That one sounds really epic! And TFiOS, I wanna read that one so bad too! :) I hope you enjoy all of your books this week! Happy reading! 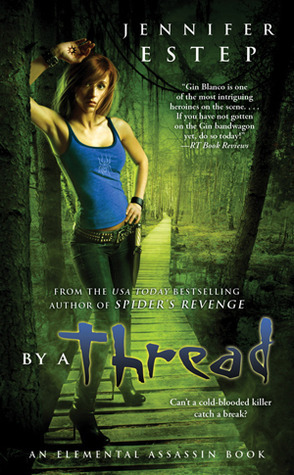 Love the cover of Jennifer Estep's book! Haven't heard of it before though. I'm thinking about reading Scorpio Races but I'm still undecided, lots of mixed reviews too so that's not helping.LOL. This is a great mix of books! Thanks for stopping by my blog. A great IMM this week Alison! I have been wanting to read The Scorpio Races for ages. I've wanted to read: The Scorpio Races, The Fault in Our Stars, and the Steve Jobs books for months, but I couldn't buy The fault in Our Stars because hardcover books are so expensive here so I might have to wait until the paperback one comes out, and I never bought the other two because I don't want to take the risk o not liking them. And thanks for stopping by for Follow Friday. Great books this week. I can't wait to read The Fault in Our Stars. Happy reading! The only books I've read of Maggie Stiefvater is The Books of Faerie though I have her Wolves of Mercy Falls in my TBR. Scorpio Races looks interesting - I'm going to check it out. Some great books. Scorpio Races looks really good. Thanks for stopping by and sharing your IMM. I'm really looking forward to reading The Fault in Our Stars. Enjoy! The Fault in Our Stars seems to be very good from what I've heard. OOOO The Scorpio Races! So jealous right now! Awesome book haul! I can't wait to read When Things Come Back. I hope you enjoy everything. Thanks for sharing ! Oh, I just adored The Fault in Our Stars. I love John Green! I've GOT to read THE SCORPIO RACES and THE FAULT IN OUR STARS. 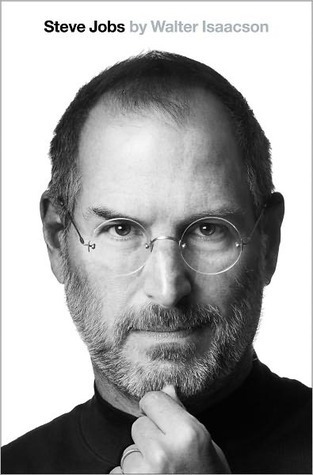 The Steve Jobs book sounds fascinating! I loved The fault in our stars. Happy reading! OMG, you are going to LOVE By A Thread. I read it and reviewed it and gave it 5 stars. Happy reading. Interesting haul. Have fun reading those =) Thanks for stepping by my blog! I keep meaning to get in to Jennifer Estep books, but I need to find the first in the series! Great books! I'm still have to finish The Scorpio Races, and Jennifer Esteep's book looks really awesome! I STILL have to read Jennifer's Mythos Academy series. I don't know what I'm doing, but I'm clearly only hurting myself, because this is ridiculous. I should've been done read it. AND The Scorpio Races. I really love Maggie's writing so I can't, for the life of me, understand why I haven't read this one already. A mistake I have to rectify immediately. I have The Fault in Our Stars siting here... waiting... VERY patiently to be read. I'm hoping to get to it this week! I'm interested to see what you think of The Scorpio Races. I have heard a lot about The Fault in Our Stars, the cover is not something I would normally think, Hmm I need to read that. Great haul! I really want to get The Fault in Our Stars since I have heard it's amazing. The Scorpio Races has been on my TBR list for a while. I will get it eventually. Thanks for stopping by! Hi! Nice IMM, I really want to read Jennifer Estep series, sounds awesome! and I enjoy the first series by Maggie Stiefvater (Wolves of Mercy Falls)! Thanks for stopping by! I couldn't resist that deal for Scorpio Races either! It made me so happy to add it to my collection. Omg I still have to read Scorpio Races!! And Fault in our Stars too! Great haul! Great set of books! Can you believe I have never read a John Green book? :D i will have to change that soon! I've had a copy of THE SCORPIO RACES on my shelf for such a long time now and I can't believe I haven't picked it up yet. :( Really need to do that soon, especially since I love Maggie's writing so much. Lovely books - I hope you'll enjoy all of them! Scorpio Races, Where Things Come Back, and Fault in our Stars are all on my list. Can't wait to get to them. Hope you enjoy. Thanks for visiting. OMG The Fault in Our Stars! I still haven't bought it!! Must get it. Thanks for reminding me. Great haul you got here! The Scorpio Races was SO FAB, wasn't it?? I also bought a finished copy because I liked it so much. Oooh, the Jennifer Estep book looks awesome. I love her books. I received the Steve Jobs book for Christmas and you're right, it IS engrossing. I had to force myself to stop so I could get back to what I was actually reading at the time. But I can't wait to finally read it. The rest of your mailbox looks great! Awesome IMM this week :) Happy reading! Ohh! I actually got The Scorpio Races today! It looks super good. Sorry for stopping by so late! Too much of a crazy week, sadly. I really hope you enjoy your new reads! I really hope you like "The Fault Among Our Stars" because it was amazing on all levels.